Back on Irish roads, is the plug-in hybrid drive convincing enough in the BMW 7 Series? Good: sublime ride comfort, truly luxurious interior. Not so good: high fuel consumption, limited electric-only driving range. Just because you can, doesn't mean you should. That's what you think after spending some time living with the plug-in hybrid version of BMW's luxurious 7 Series. Bavaria's flagship saloon has long been seen as a showcase for BMW engineering, and the current model is arguably the pinnacle of this. Among the tech highlights are its carbon core and suspension setup that results in a ride quality that is nothing short of exquisite. You don't necessarily feel driven in the car, more, that you float along. Yet, you can still show it a decent set of bends, and it retains its composure with impressive results. Like much of BMW's range of cars, the 7 Series has been given the plug-in hybrid treatment. In this case, the car is powered by a 258hp 2.0-litre turbocharged four-cylinder petrol engine that is joined by a 113hp electric motor. The system produces a combined maximum of 326hp and an even more impressive 500Nm. It is the latter that adds to the luxurious sensation that seems ever present when you drive this car. Power for the electric motor comes from the rear-mounted lithium-ion battery that is rechargeable via the charging port on the left front wing. As it's a smaller battery than would be found in a fully electric vehicle, charging times are shorter. It is also possible to recharge the battery by using power from the petrol engine, however doing so will have a noticeably negative impact on fuel consumption and in a way defeats the purpose of a plug-in hybrid. Speaking of fuel consumption, you will be likely to visit fuel stations more frequently in this car, as the fitment of the on-board battery results in a smaller fuel tank, down from 75 litres in the regular car to just 46 litres. If you want to get the most from this plug-in hybrid system, you will need to be somewhat fastidious about your charging routine. According to BMW, the electric-only driving range stands at 45 kilometres, but in the real world, this is closer to 40km at best. Driving strictly in EV mode (Max eDrive in BMW parlance) will allow you reach speeds of up to 140km/h, although do so and you will see the battery drain even faster. If you happen to live quite close to your workplace and have a facility to recharge there, this does start to make more sense. However, most drivers are more likely to just leave the car in its default Auto eDrive mode, which prefers electric only power where possible, and seamlessly integrates the petrol engine when needed. As hybrids go, this is one of the smoothest transitions around - a testament to the 7 Series' refinement as much as the engineering of the drivetrain. The petrol engine is smooth and at lower speeds you can barely notice it running. Indeed, with the added shove from the electric power, the car can show most others a clean set of heels from the traffic lights. But on more open stretches it does, at times, feel a touch stretched when you call upon more performance. If you want to come close to the official 2.5 litres/100km consumption figure you will need to drive with a high degree of care, and even then it is hard to replicate in the real world. Beyond town and city confines, you still have that cosseted feeling when driving the 740Le. You feel cocooned from the outside world such is the level of sound insulation, and that quiet environment is emphasises when driving under electric power. Considering the sheer size of this car it handles the road very well, with the xDrive system adding to the car's surefooted feeling. The steering has just the right amount of weight and feedback that seems perfectly tuned to the car. While the 7 Series isn't a vehicle that encourages you to push on that bit harder, you can. There is a fair degree of body roll when driven more enthusiastically, but it can still cover ground at impressive rates when called upon. Back in town it remains manoeuvrable, even without the optional rear-wheel steering. When it comes to parking, the driver aides give you more than enough confidence to back it into a space. Impressive as the interplay of technology is, living with the car for any period soon has you wishing that BMW had been able to extend the electric driving range of the car, and it seems to be exhausted (no pun intended) in no time at all when you choose the Max eDrive mode. Granted, BMW doesn't bill this as an electric vehicle, but it still leaves us wishing for more than what is already a similar driving range to that found in the Toyota Prius Plug-In, for example. Be in no doubt: this is a sublime, luxurious car, and in this longer wheelbase version you will want to be driven in it just as much as you'll want to drive it yourself. We especially enjoyed the reclining rear seats that form part of the 'Executive Lounge' option, a €9,695 extra, while the TV function and Harman/Kardon surround sound system added another €6,908 to the already extensive options list. But as hybrid and electric vehicles continue to advance at a fast rate, there is the danger that a car like this will soon be outdated. It's also worth considering, for those with interest piqued by the prospect of a partially electric 7 Series, that for the same cost you could have a Tesla P75D Model S, with an electric-only driving range of 490km. It won't rival the BMW for luxury nor refinement, but it puts another slant on things. One other slight downside to this long-wheelbase version is that it only qualifies for VRT relief, not the SEAI grant, as its emissions rating is 54g/km. When you look at the numbers, the 740Le can look impressive on paper, but the reality of using it as a plug-in hybrid on an everyday basis can be a different story unless you're going to be diligent in your charging and driving habits. There are strong alternatives even from within the rest of the BMW 7 Series range and even the newer BMW 530e before you start to consider other brands. But given its arrival at such a turning point for battery technology, we just wish the 740e delivered that bit more on the electric-only driving side that reduced the need for such frequent charging to achieve the best performance from it. Nonetheless, for some, this BMW provides the ultimate blend of luxury and technology and, from a comfort perspective, this is a hugely impressive car. 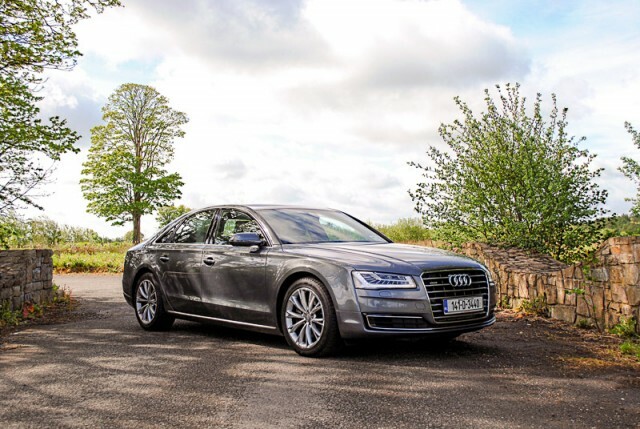 Audi A8 vs. BMW 740Le xDrive M Sport: the outgoing generation lags behind the BMW for tech and comfort, but there is an all-new model soon to be launched. 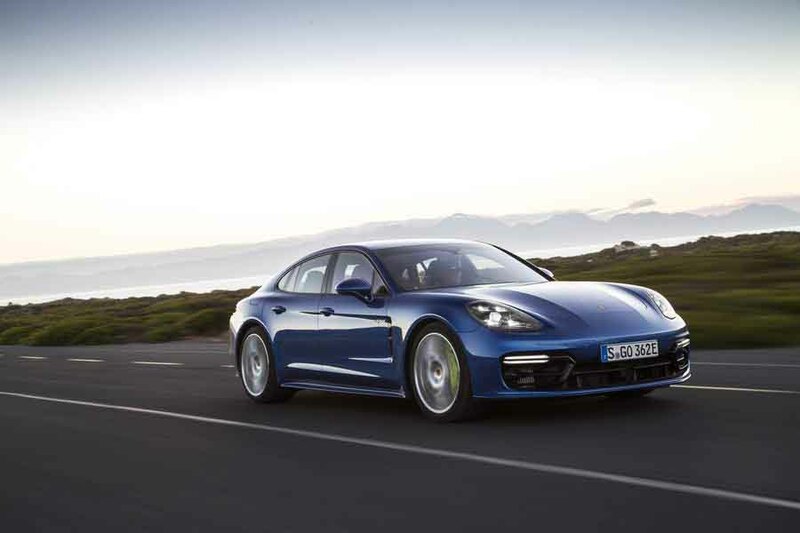 Porsche Panamera 4 E-Hybrid vs. BMW 740Le xDrive M Sport: delivers a sportier look and drive to the BMW, but it can't match the sheer luxury. 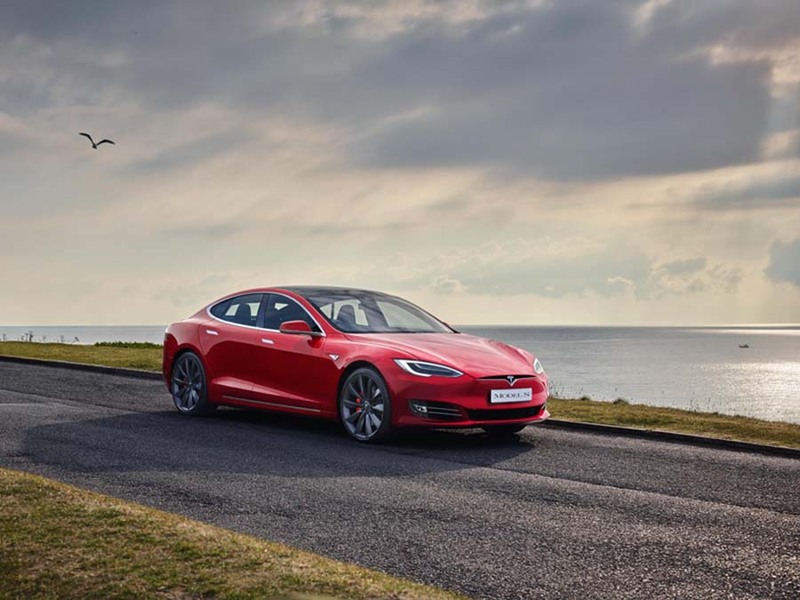 Tesla Model S vs. BMW 740Le xDrive M Sport: a different proposition, the Tesla is pure electric compared to the BMW's hybrid system, similar in price but lacks the BMW's high-quality finish.